Suicide is the 2nd leading cause of death for teens in Utah.¹ While suffocation remains the primary method used in completed suicides, firearm suicide is a very close 2nd place. 36% of youth suicides are committed with a firearm. 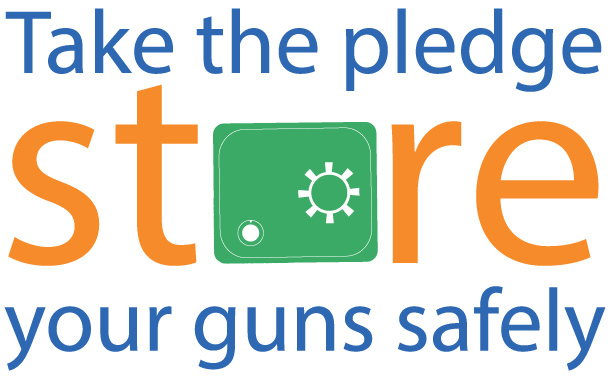 Ensuring firearms are stored safely away from children and teens would help reduce the number of successful suicides and injuries from failed attempts by teens in Utah. It is estimated that around 40% of youths who kill themselves had no known mental illness. Suicide can be an impulsive decision, especially among youth. BUT most people exhibit warning signs, and if caught in time, crisis intervention saves lives. And subsequent psychiatric treatment and counseling can provide extraordinary relief from the symptoms of depression. Resources for those contemplating suicide. * Be direct. Talk openly and matter-of-factly about suicide. * Be willing to listen. Allow expressions of feelings. Accept the feelings expressed. * Be non-judgmental. Don’t debate whether suicide is right or wrong, good or bad. Don’t lecture on the value of life. * Get involved. Be available. Show interest and support. * Never dare him or her to do it. * Don’t act shocked. This will put distance between you. * Don’t be sworn to secrecy. Seek support. * Offer hope that alternatives are available but don’t offer glib reassurance. * Take action. Remove means, such as guns or stockpiled pills. * Get help from persons or agencies specializing in crisis intervention and suicide prevention. Depression carries a high risk of suicide. Knowing the symptoms of depression can help you or your loved ones get help BEFORE the problem escalates. If you or someone you know is suffering from depression, do all you can to find a mental health professional BEFORE the illness progresses toward something more seriously like a suicide attempt. Depression can sometimes spiral downward very quickly. Get help sooner rather than later. MHA Mental Health America How Do I Find Treatment, Including Affordable Treatment?